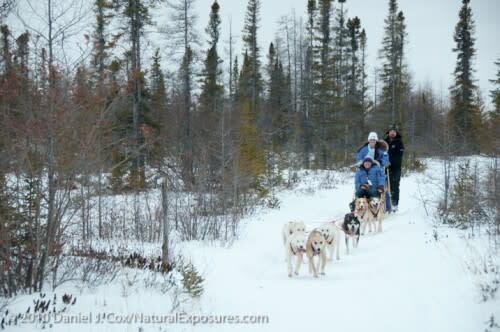 Dog sledding at replica trappers camp and northern culture in Churchill. We offer a true northern dog sled experience with our 'Ididamile' tours offered every year round to Churchill tourists. January thru to March Northern Lights.